If you are a sole proprietor, then you know that each year, you need to prepare and file a Schedule C with your 1040 in order to show the IRS whether your business has had taxable profit or deductible loss. While this can seem like an overwhelming task, filing will be simpler than you expect as long as you plan ahead and keep thorough records of your finances through the year. Today, we are going to cover the form in small sections so you know exactly what to expect from the IRS. If you don’t meet each of these record requirements, that is when the IRS may reach out to you and request an audit. Prevent this from happening with a thoroughly completed Schedule C! The first part of the Schedule C calculates your gross income for the year. 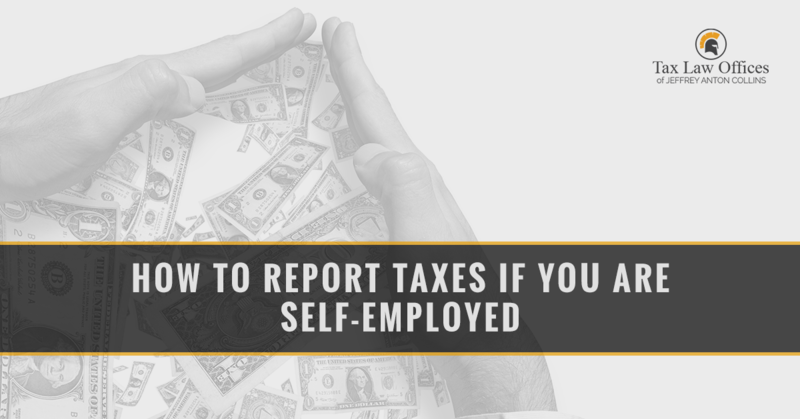 You will need to begin this section by reporting gross receipts or sales for the year, which should include the amounts reported on any 1099 forms that were issued by clients or anyone else you provided service for. You will also need to report the value of your goods and services that you might have received through trading, any bad debts that you recovered if you wrote them off before tax returns, and interest one business bank accounts. You will total these items and take away the cost of the goods you sold to arrive at your gross income. Car and truck expenses: These can be reported by entering your expenses for gas oil changes, insurance, etc. if you have the documents to support it; the other option is to take the IRS standard mileage rate. Depreciation and Section 179 expense deduction: Businesses can gradually deduct the costs of assets like equipment, fixtures, furniture, and other items that last longer than a year. Pension and profit-sharing plans: Be sure to only enter contributions you made for your employees on Schedule C. You can also report pay-ins you made for yourself. Travel, meals, and entertainment: Sometimes business travel demands lodging, transportation, tips, internet, and other expenses. These can be reported, but separately from business meals and entertainment. Wages: This category can be tricky if you produce and sell goods. You will report what you paid your employees, excluding productions workers. If you have productions workers, you will report their wages as part of the cost of goods sold. Expenses for use of your home: If you use part of your home exclusively for your business, you can claim a deduction for this space. Once you have all the deductions entered, you subtract them from your gross income to get your net Schedule C profit or loss. However, if you have a loss, you will need to go through more steps. If you sell goods to customers, you need to fill out this third section. However, if your business is service-based, you skip this part! If you are filling out this section, you will need to report the value of your inventory at the beginning of the year. Then, you report how much you spent in order to get merchandise. However, don’t include the value of anything withdrawn from sale or for your own use. This is the time to report wages paid to production workers, factory supervisors, and similar jobs if you work in either manufacturing or construction. Add these costs to your beginning inventory, and then subtract the value of your closing inventory from that total. This is the cost of goods sold! You enter this amount into part one in order to reduce your gross income. If you mistakenly filled out your Schedule C incorrectly and now the IRS wants to audit you, don’t worry. Our team of IRS tax attorneys is here to guide you through this process. Check back again soon for more information about parts four and five of a Schedule C!